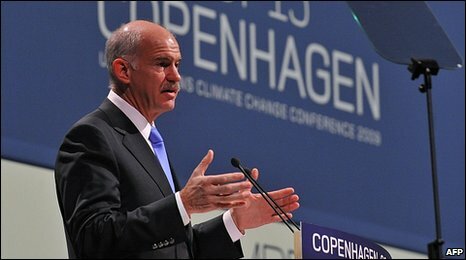 See the gallery for quotes by George Papandreou. You can to use those 8 images of quotes as a desktop wallpapers. If we were going to default, we would have decided that many months ago. It would be wrong for the Greek economy, it would be wrong for the European economy, it would make things worse in the end. That's why we're taking the pain and making these structural reforms, and we're on target. If we were the problem, it would be very convenient - kick Greece out, everything's fine. What would happen to Spain, what about Portugal, what about Italy, what about the whole of the euro zone? We need more cooperation and less simplification and prejudice. Many people have been pontificating, and patronizing, and moralizing, and scapegoating, saying you Greeks, you are the problem. I would say we Greeks have a problem. We are not the problem. Markets are saying pretty much what I'm saying too: that Greece is doing what it can, but that Greece is not going to be able to carry the weight of all of Europe and the other problems that Europe has. Markets themselves are looking for stability, and I think we have underestimated the capacity of Europe... to actually create a more stable framework for the whole issue of debt management, bonds, and so on. The unemployed in Greece can get a voucher and choose a training program somewhere in Europe to be retrained during this crisis and when this crisis is over, we make sure that that person hasn't fallen off the cliff and can come back into the labor market with new skills to find a job. Very often, people will come out and say, 'Greeks aren't doing things, Greeks aren't making changes, there's no reform,' That is hogwash. We have made a huge effort. The Greek people have made a huge effort. We Greeks want change. We know there are problems in our system. We have great potential but we need to manage our country well. Now that hasn't been done over the last decades. And that is, of course, what we are paying for. We tend to separate two crises going on in the same neighborhood, southern Europe's financial crisis and northern Africa's Arab Spring. Now that we have found new energy resources in this region, we can really develop green energy including solar and wind. 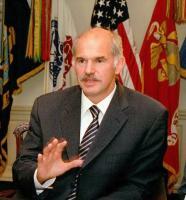 Why not have a green Marshall Plan, which will bring in investments and stabilize the region. Greece's history in the drachma was an up-and-down history, a roller coaster. I have always said I will be in politics to serve as best as I can and it will take me wherever it will take me. If you put all the European countries together, we are the biggest economy in the world. 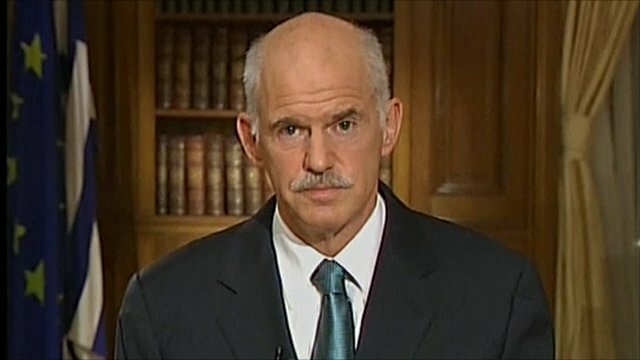 Much more quotes by George Papandreou below the page. The more there is a European solution to a theoretical, but possible, problem in the markets, the less we will have to talk about an I.M.F. solution. The real problem in Greece is not cutting taxes, it's making sure that we don't have tax evasion. We have a rise of extremism because we need to give a sense that we are targeting some of the deeper problems in Greece, the injustices. 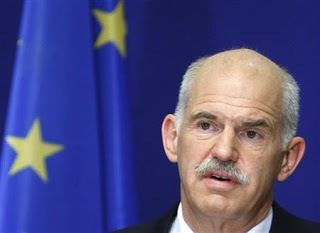 As long as I feel I am doing what I think is right and just for my country, for the Greek people, that is enough for me. Saving Greece from this crisis was the first thing on the agenda. We are now on a much more normalised road. But sovereign debt is a wider question not only in Europe but across the globe. While every country is a unique case, I think it's not an issue of countries acting on their own. We need a more coordinated strategy not only in Europe but around the world. Europe is a strong market for the U.S. If it has problems, if there's a lack of consumer confidence, if there's a deeper recession, this will deeply affect jobs in the U.S.
First of all, Greece won't go down. We're talking about a country that is capable of making change. 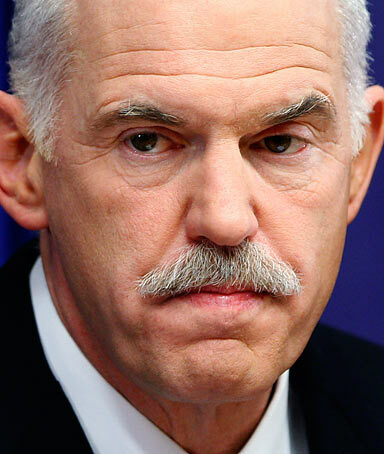 Europe will not allow the destabilization of the 27-country euro zone. But if there were no action, then markets would start becoming jittery about other countries - and not only Spain and Portugal, but other countries in the European Union. 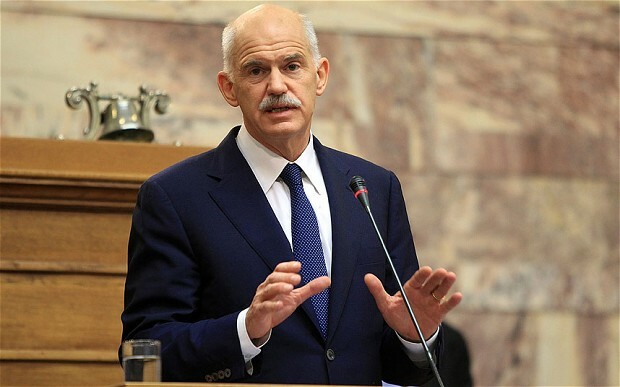 How can a parliamentarian or a leader in a country say, on the one hand, that we're going to support Greece but at the same time say that Greeks are lazy? I never thought about becoming a politician. But during the military dictatorship, my grandfather was put in prison six times and my father twice. If my family and my country didn't have this history, I might be a professor somewhere today. 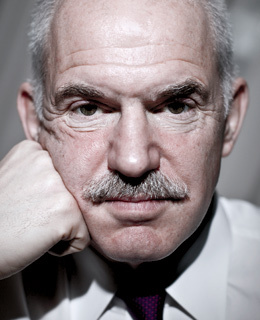 As long as I feel I am doing what I think is right and just for my country, for the Greek people, that is enough for me. I am proud of being a Greek of the diaspora. I will always be upfront with the Greek people, so we can solve the country's problems together. This idea that you're a successful tough guy if you evade taxes and deceive the state has got to change. Greece has given Europe the opportunity to fix a defect in the euro zone, that is the fact that we did not have a fiscal union. Now steps have been taken to begin that process. And there is more solidarity from nation to nation, and that is a good thing. That has been Greece's gift to Europe. If Greece had gone through a very normal political life, I may have not been in politics. But just the fact that I lived through huge upheavals and very difficult struggles and polarisation and the barbarism of dictatorships - that made me feel that we had to change this country. Politics also means educating people. It's important to speak openly with our fellow Greeks, to tell them what our problems are and that we have to change something.